Very few of us really ever keep our new years resolutions for very long because they are hopes that are soon trapped by the negative cold january that follows. Studies show each year that Jan 17 is the most depressing day of the year when we have nothing to look forward to for months and we have spent lots of money at christmas and are in debt. Not the greatest month to be resolute about difficult challenges. My view is to keep your initial new years resolution easy and build on it throughout the year. Increase exercise as trainers tell us to by gently warming up with a brisk walk and see how much better we feel as a result and then we can build that into a jog as the weather improves. Instead of drastic diets try to cut out fatty foods two days a week to begin with. Rome wasn't built in a day and so we can all build on our goals by breaking them down into managable chunks. great blog, Sherri. Those of us who are caregivers often put our needs at the bottom of the list. I appreciate the idea to keep it simple and measurable and committing to it each week. So far, my resolutions are looking good but it takes working on it every day and remembering why it's important. Vicki: Give yourself a pat on the back – you have succeeded at the first steps – making the resolution and committing to it every week – I wish you the best of luck all year on meeting your goals and embracing the fact that caring for yourself is as important as caring for your loved one! I've been caring for my mom, who was diagnosed with Alzheimer's in the spring of 2009. This past Christmas, I bought myself an e-reader tablet, which I have loaded with books, magazines, and games. I use it to take a mental break when I need it….even if it's just 10 minutes at a time, reading a book or doing a crossword puzzle, The 10 minute increments really help, and by the end of the day I'm not as tense. Ronnie – what a great tip!! This is what I call putting "tech to work for you"! Thanks for sharing! Bonnie – first of all – I'm sending you a big e-hug! Caregiving can be confusing and overwhelming but there is hope! If you search on the Alzheimer's site (alz.org) – they have many, many caregiving resources to help. It also helps to talk to others who are going through the same thing – sometimes friends and family are supportive but they just don't get it. There are online support groups and I find a lot of sharing among caregivers on Facebook sites. Alzheimer's Association has a great Facebook community and Caregiving Club does as well. Post your feelings and thoughts there and watch the circle of care surround you on your caregiving journey! Hugs! Thanks, Sherri. I found your blog via facebook. Unfortunately, our families do not live close to us. So I am the main caregiver. I am on leave from work to be able to provide his 24/7 care as required by the doctor. I also do not want to miss this time with him. It has been amazing how quickly he has started to decline. He was diagnosed 3 years ago, but the last several weeks he went from independent to needing lots of care. I am trying to find ideas and support. I'm a caregiver for my wife who has severe demensia, which I believe is a catch all phrase by some Dr.s is we don't have a clue how to treat it cause we dont know how to cure it!! But my new I've found for her is hopefully really going to help me and my wife and my ability to take care of her!!! I'm a cancer survivor wich I believe I got due to the stress of my wife actions over the last 11 years that I now she as symtoms of her demensia!! Good luck Richard. I am a caregiver for my husband. Gina – any tips you have for Richard and others? Sometimes we think caregiving is only about our older parents but as more and more of us will live longer – caregiving for a spouse is almost inevitable. The Alzheimer's Assoc says that 1 of every 2 people over age 85 will develop Alzheimer's or related dementia – any way we can help each other through this long caregiving journey is appreciated! I care for my husband who has diabetes and alzheimer's and my mom who is 95 and has a strong mind. I am overwhelmed sometimes. But I also have a kindle and I read and play games, and sometimes I take a day off, and although I'm still here with my mom and husband, I read, do my nails, and hair and generally take care of myself that day. Yes, I also care for them, but in my mind it's my day off. Since my mother had a stkroe last March while I was in Florida. Unfortunately my sister didn’t take her to the hospital, so she suffered significant paralysis to her left side. I suspect she will never regain any real use of her limbs. Consequently, we have been engulfed in acclimating how to manage her healthcare as well as her need to be at home. She’s at the nursing home during the week and my sister and I share the weekend with her at home I live and work an hour away -ugh! We do fairly well, but I have had to learn to allow my sister to manage the decision for the most part even though I am the one working in healthcare. I found it helps to defer those responsibilities to her and just be the sister and daughter they both need me to be.We lost my father 8 years ago after two onsets of lung cancer. That caring situation didn’t go very well. I took on more than fifty percent of his care even changed jobs at half the salary to be with him and I’m glad I did. I learned from that experience. I realized death will come, it’s what we do during the journey that makes it hard or easier for us after they’re gone. I'm a 65 year old care giver of my wife who has some kind of severe demensia!! I've taken care of her for the last 6 years while I was recovering from Stage 4 Non-Hodgkin's Lymphoma Mantel Cell I had in 07! Good news is that I'm cured and have my full life span back!! Bu tnow what I need is some sort of caregiver support out here in Hemet Ca!! Any advice would be greatly appreciated and I can't wait for your new book!! Richard – you are a caregiver and a survivor! I have a great suggestion that may help you – there is a wonderful Web site that will help you create an online personal and private community of care – it is called Lotsa Helping Hands <a href="http://(www.lotsahelpinghands.com)” target=”_blank”>(www.lotsahelpinghands.com). A lot of caregivers have found that family and friends want to volunteer to help but don’t know how to get started – and you are so overwhelmed with caregiving for your wife you don’t have time to coordinate all that care! What you do is create a community online – it has a calendar where you can fill in times when you need a break or activities where you need help, invite your family and friends and – HELP is on the way. I’ll be doing a Webinar for Lotsa Helping Hands in February that talks about spousal caregiving – check my Caregiving Club Facebook site for the date and details and hope you can join us! Debbie: Good for you – sometimes all this advice is great but it is hard work (and the last thing caregivers need is more work!). I'm here cheering on your effort to make Monday your point in time to focus on you! Good luck! I love the "Me Time Monday" tips. We all start out big with our New Year Resolutions. And, when we inevitably steer away from them the first time, it can feel like we're ruined the whole point of it. Mondays can be a fresh start. And I like Sherri's tip of setting small goals, or redefining them, like with her weight loss suggestion. It can be framed not so much as "losing weight", rather cutting out the mid-afternoon run on the fridge, and grabbing a bottle of water instead. Thanks for your sound advice, Sherri. I'll look for your blog regularly. I am in the early stages of caregiving with my mom. I am so thrilled to know I will have a resources to get me through it – including Me Time Monday! I believe this is the Tipping Point – so thank you for being ahead of the curve! Gretchen – sometimes caregiving can be a long journey – that is why it is so important to not lose yourself as your life gets thrown a curve ball! It is so hard to do but maintaining balance – whether it's an exercise routine, having a walk or coffee with a friend, seeing a movie, eating almonds instead of Almond Joys – whatever is just about "Gretchen Time" and keeping Gretchen healthy and happy – is the key to being the best caregiver you can be for you mom. Good luck! I work as a caregiver doing 1;1 with a gal who has epilepsy and also has what is called explosive compulsive disorder. Plus I also help my daughter who is disabled, and am there for my 84 year old mom with alzehimers. I need respit care but never have the time. life is hard but I keep going. Sherri- thank you for your article. I just lost my husband to Alzheimers. I only wish that I had concentrated on finding help way before I did. It would have been better for my husband and better for me. There is help out there. Just start making calls and you will find one lead will lead to so many others. People who work in this field are very special dedicated people. They are equipped with a strength that gives them so much knowledge along with kindness for the patient and the caregiver. They can help you. The professionals I met have changed my life for the better. My husband and I were blessed to know them. September 8, 2010Let me be the first to express .Aargh! Family cavgrirees who don’t let it be known to their church family or anyone else for that matter, could be ashamed of their situation, they are probably afraid to let it be known. The normal responses a caregiver elicits when they tell people are enough to make them turn grey and run. Our church has not just those who are being cared for, but cavgrirees as well. It was one of the first things that was known about me when I started going there. Support, love and understanding from all. I have never held back at anytime during the years I cared for mom. I was actually proud because I knew what a formidable job I had, and that I had taken it on.If a church does not know that they have cavgrirees, or carees in their congregation, then someone better step up with the greeting and getting to know you areas! What about home visitations to visitors or members? Does that not occur anymore? Thanks Denise, you gave me a mini soapbox platform lol. Whether you do Me Time Monday or Free Time Friday, you MUST take care of yourself or you'll have nothing but resentment to give you your loved one. I'd say this is just my humble opinion, but studies have proved it. Great post, Sherri. Thanks for sharing it. While the concept of “Me Time Monday” would be helpful to some, I don’t think it is applicable in our case. At 86 and 87 years of age and approaching our 58th year of wedded bliss, we don’t recognize “time or date” as everyone else does. What’s Monday? Another day for us! We take every day as it comes and roll with it. We get up at 10 or 11 and start our day with my giving my much loved wife her bath and dress her. “Breakfast” which I prepare might be over at 2 or 3 p.m. unless we have appointments with the Hospice nurse or hairdresser for her weekly appointment. Then she is down for a long nap until perhaps 8 or 9 p.m. Up to watch a little TV on PBS while she enjoys a bottle of Boost, crackers and cheese, yogurt and fruit (and I grab a bite to eat) and then in bed about midnight. Then I take a shower and get to bed. Keep a positive attitude and lots of love. I’m grateful to have her with me . but recently started going to Zoomba classes on Monday & Tuesday, this is my time and for 1 hour each night I forget about everything and concentrate on myself..my health, and it helps relieve my tensions and I am getting exercise at the same time. As my 87 year old father's primary caregiver, I find it extremely difficult to find any time for myself! He has advanced Alzheimer's and is becoming more and more aggressive as each day passes. Let's face it, there are extremely few volunteers out there who are willing to help out with Alzheimer's patients and caregivers cost a arm and a leg. I work part time because I cannot afford to pay for a caregiver for more than 4 hours a day. The other 20 hours I'm responsible for all his needs. It's not easy, but that's life I guess. I must go now because even as I type this, my father is once again heading towards the door! Alzheimer's is a terrible disease!!!! This post is not only for Caregivers. This post is an inspiration for each and everyone. Just by thinking or imagining, nothing is going to happen. One has to take action on the plan designed to get something. One has to work hard to achieve something. Almost 20 years ago, I lost my first wife to colon cancer. I wish I’d known then what I’ve eanrled from Kay Marshall Strom’s excellent Caregiver’s Survival book. Like many people suddenly caught up in the role of caregiver, I was unprepared mentally, physically, and emotionally for the role. I did my best then, but it was far short of what I could have done for her, for the children, and for myself had I only known. My hope now is that this book will find its way to where it’s needed: to those facing the prospect of providing the primary care for a loved one in failing health, so that this extremely painful journey can be made more tolerable by Ms. Strom’s tender, Christian insights and advice. She connects to the reader by laying bare her own doubts and hardships in more than 7 years of caring for her terminally ill husband. Her book is filled with the dignity, respect, and hope that, through God’s inspiration, can be developed in even the most hopeless of cases. Wow, incredible blog layout! How long have you been blogging for? you make blogging look easy. The overall look of your website is wonderful, let alone the content!. 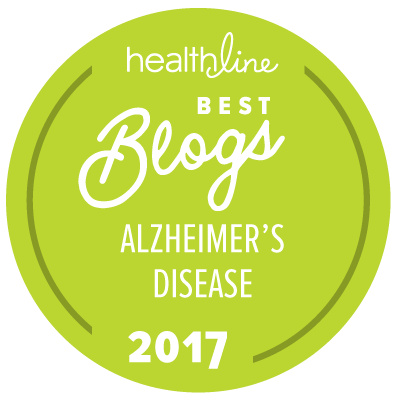 Thanks For Your article about How to Keep the Promise We Make To Ourselves This Year Â» Alzheimer’s Association | Blog . I am 38 years old and caring for my mother whom I love with all my heart and soul. I just feel like my mom took care of me all my life and never questioned helping me I feel bad when I feel like I need a break. I work full time (which I am truly happy to have a job) but I work for someone that tries their best to break me down as much as possible. When I come home sometimes I just want to sit in my room but I feel like I am a horrible daughter for wanting me time. I don't recall my mother asking for me time so I feel like I shouldn't ask for it. I have sisters that do help and want to help more but sometimes I feel because they have their own families I don't want ask them to help out. I know I really need time to myself but how do I have me time and not feel bad. Hello Sherri. My name is Clevie Evans. I am a 59 year old woman, who is helping give emotion support to a long time college friend, whose Mother was diagnosed last December with Alzheimers. I lost my own Mother to Alzheimers in November of 2009, after a courageous journey of 8 years. In talking with my friend, who lives in North Carolina, but now spends weeks at a time in S.C., to care for her Mother, I have become keenly aware and interested in the need for more services for the caregivers. I have been speaking directly with the ALZ chapter in Charlotte, N.C., which is Cyndy's home town. Sarah and I have been cooresponding about my idea for RESPITE house specifically designed just for caregivers to go, free of charge for a maximum of 5 days to getaway and recharge. (To the best of my knowledge, there is no such thing.) I believe, there is a HUGE need for this. Many caregivers already are hesitant to get away, take a break, because of changes for their loved one, financial needs for having another caregiver come in in their absence, etc. For them to be able to go to a lovely, quiet retreat home, with full kitchen, perhaps trails to walk, etc. would be very inviting. I believe November is a great month to raise AWARENESS for such a thing. I myself have health issues, and can no longer walk for ALZ, however I have told Sarah, I would be willing to set up in a highly visible local Mall, with local television. Rock in a rocking chair for 12 hrs, something to that effect, to raise money for the first RESPITE house of this kind. I want every state to have a PURPLE HOUSE (this is what I am calling them). They can also ask for donations from the caregivers, after their stay. But they should be listed as operated as non-profit, as a Ronald McDonald House is. So as not to repeat all of my email conversations with, Sarah, I would like to forward those on to you. She and her caregiver team, have thought of pursuing using time shares as a a possible start. However, I am still holding out, for the dream of a permanent PURPLE HOUSE. I would gladly live on premises, as a host, in a guest suite of sorts to be available. Perhaps you could also contact Sarah re: this subject. I really want to see this go somewhere. Thank you for your time and consideration. Everyone wins in this pursuit. The patient, and the caregiver. My husband has mid-stage Alzheimers. I am trying to learn the virtue of patience and appreciate the helpful tips found on this website. A longtime girlfriend has invited me to accompany her on a 2-week trip this fall and I feel guilty for even considering it. If a respite assisted living arrangement could be arranged, how do I best introduce such a situation to my husband? I’m a caregiver,I’ve been doing it for over 27 years” I’ve lived comedy ,and I’ve lived sorrow “oh yes!! life is a stage . I picked up straight away ,where Dina was heading . I have so many memories,funny and sad …I asked my lady if she wanted to take a photo ?”yes ,her response ,I showed her the photo , she is in shock ,”is this what you give me”,she yelled !! !and she threw me out of her house …she doesn’t recognize herself ,she only remembers the young woman that she was . Of course I came back in ,as a different person . One lady face was so blank ,suddenly she looks into my eyes and for that moment I saw and felt her pain, she knew there was something wrong ,there was a tear, that said it all ,it was the saddest thing I’ve ever felt. To me , Alzheimer’s is like the wind ,walk with it ,not against it . one lady doesn’t know ,her son has died , how can you allow this woman to go over and over the pain of losing her son . So when she speaks of him ,we go with it ,not against it .